For students from the Belt and Road countries who are interested in studying in China, attending their dream business school may not be that far away thanks to an initiative launched by GMAC. The Graduate Management Admission Council (GMAC), an association of leading graduate business schools and the owner of the GMAT exam, has initiated the "Study in China" program in partnership with 11 leading business schools in China to help international students explore opportunities and pursue higher education in business-related fields in the country. The initiative is currently mainly targeted on facilitating students from 20 countries and regions along the Belt and Road in Asia, Africa and Europe, via all kinds of activities like essay contests and webinars. Speaking at a press conference in Beijing on Monday, GMAC's president and CEO Sangeet Chowfla said the organization is dedicated to creating a world where every talented person can benefit from the best business education for them and tries to provide the tools and information necessary for schools and talents to discover and evaluate each other. 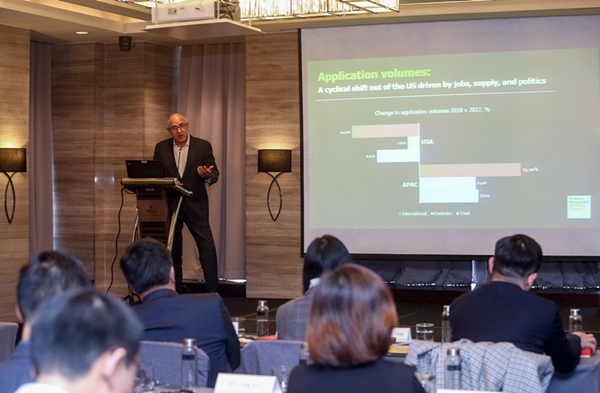 He noted that with globalization and the growth of emerging economies like China, students now have a greater choice for pursuing high quality business education besides the U.S. and Europe, while MBA education remains strong globally with primary demand from Asia. By launching the "Study in China" program, GMAC aims to drive awareness of China as a desirable study destination for candidates interested in graduate business studies and effectively connect them with the right opportunities to excel at China's leading business schools and programs, while offering all around support during their studies, Chowfla told the press. According to the organization's earlier release, the "Study in China" online portal, launched in June this year, allows students to discover more about studying and living in China, and help find the perfect fit for their China education experience. For example, it offers in-depth information and insider advice on the schools and programs available, including international program structure, syllabus overview, admission requirements, application times, campus facilities, scholarships and financial aid. Students can also opt-in to conveniently contact the schools for further details via GMAC's one-stop portal. For students from the Belt and Road countries who are interested in studying in China, attending their dream business school may not be that far away thanks to an initiative launched by the Graduate Management Admission Council (GMAC).